Welcome to the English homepage of the Catholic Archdiocese of Nagasaki. This homepage has been created to provide information in English to the Archdiocese’s international residents, as well to assist visitors to the Archdiocese from abroad. The Nagasaki Archdiocese is home to a long and rich Christian history, and is famous throughout the world for being a place where countless martyrs witnessed to Christ by giving up their lives. The most well-known of these martyrs are the 26 Martyrs of Japan, and today the hill in Nagasaki where they were crucified welcomes pilgrims from around the world and is home to both a church and a museum. Another unique feature of the history of the Archdiocese is that for over two centuries, Christians in Nagasaki passed on their faith in secret amid severe persecution. When foreign missionaries finally returned to Nagasaki in the mid-nineteenth century, they were overjoyed to find that many Christians still remained here. On March 17th 1865, a small group of these hidden Christians made their way to the newly built Oura church and confessed their faith, whispering into the ear of a French priest the words “all of us have the same heart as you”. This moving encounter became known outside Japan as the “Discovery of Christians”, and the church where it happened is now one of Japan’s main Christian pilgrimage sites. The launch of this English homepage has been timed to coincide with the 150th anniversary of the start of what is known as the “Forth Falling of Urakami”, which was a wave of persecution which began after large numbers of hidden Christians across the Nagasaki region began emerging from secrecy. Christianity was still banned in Japan at the time, and many of these former hidden Christians were tortured, with some dying as martyrs. In 1873, Japan’s long ban on Christianity was finally lifted, and soon many Catholic churches were built across the Nagasaki region in the locations where the hidden Christians had lived. On August 9th 1945, an atomic bomb was dropped on Nagasaki, causing unthinkable death and devastation. Nagasaki’s Catholic community was particularly badly affected, the original Urakami church having been located just yards from the hypocenter. Many thousands of Urakami’s Christians died in the bomb, and the church was reduced to ruins. It was rebuilt after the war, and today Urakami Cathedral stands both as a symbol of faith and a reminder of the destruction caused by nuclear weapons. 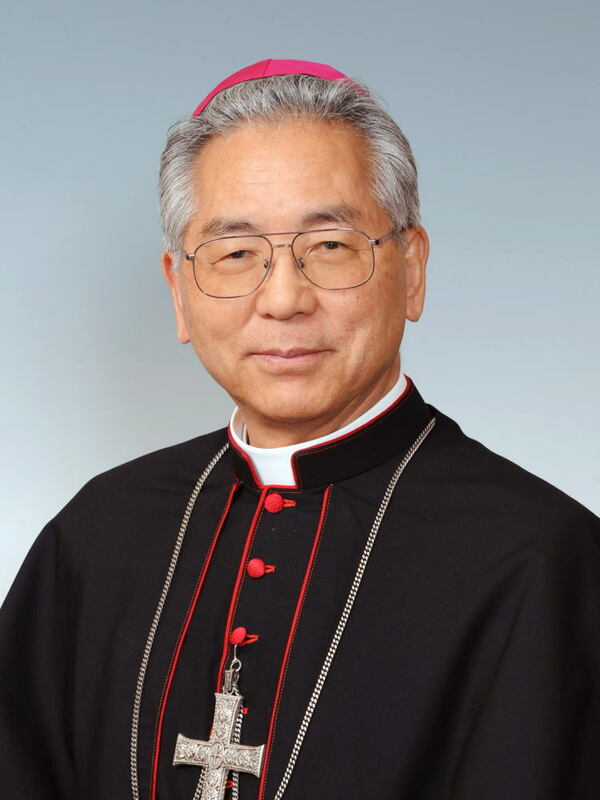 It is my hope that this website will enable people from outside Japan to become more fully integrated into the life of the Archdiocese, by being a source of practical information regarding the Catholic Church in Nagasaki. I pray that Catholics from abroad who live within the Archdiocese may flourish here and use their gifts and talents to enrich the Church in Nagasaki. I also pray that international visitors to our Archdiocese will find their stay in Nagasaki both fulfilling and spiritually fruitful. May the peace of the Lord be with you and remain with you always.